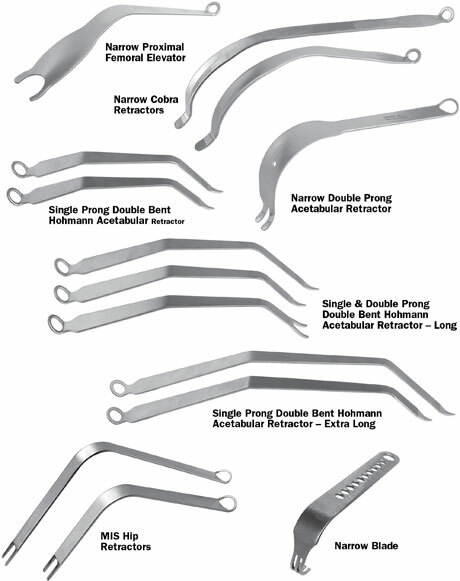 The single prong retractor is designed to be placed around the inferior-posterior edge of the acetabulum for wide exposure during total hip replacement. 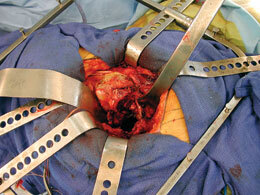 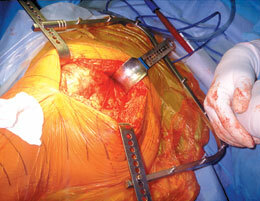 Modular weights can be used to help hold the retractor in place. 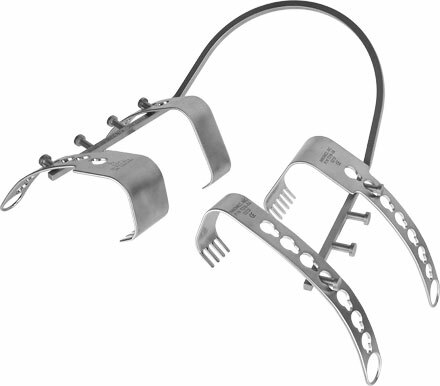 The double prong retractor is designed to retract the femur anteriorly during total hip arthroplasty. 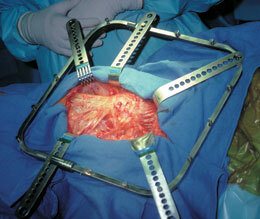 It is hooked over the anterior pelvic brim. 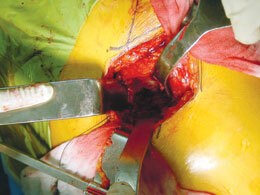 Placed over the top of the piriformis, helps retract the gluteus medius. 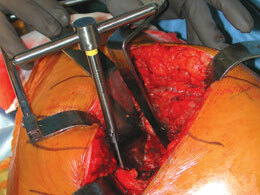 Retracts the gluteus maximus off the trochanter and exposes the back of the greater trochanter. 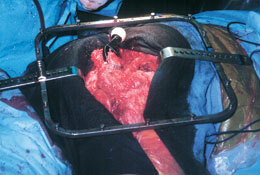 The long version is used with larger patients. 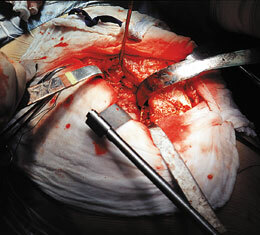 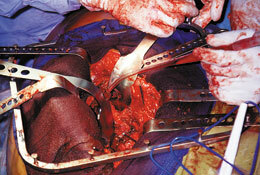 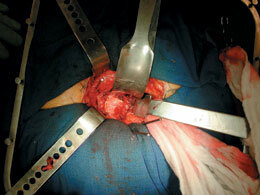 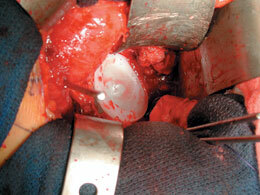 Placed between the capsule and outer external oblique muscle to protect medial circumflex vessels. 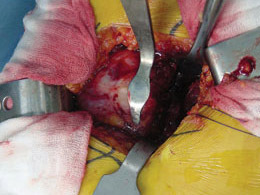 The tip engages the condyloid notch bone (teardrop). 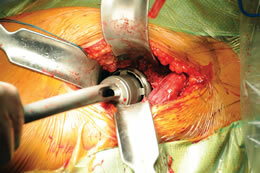 Helps retract soft tissues during acetabular exposure. 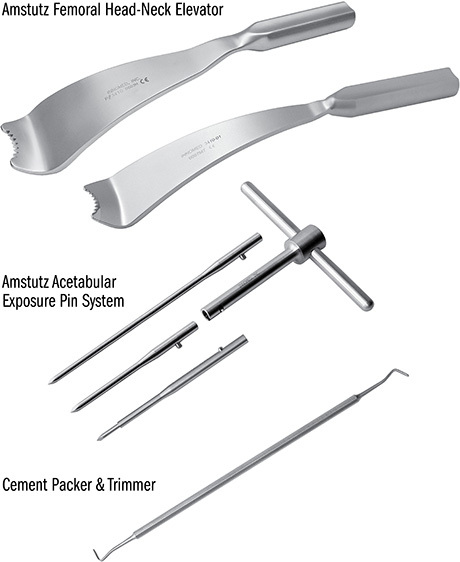 Used for both femoral exposure—placed around the femoral neck or beneath the top of the femoral head — and acetubular exposure — posterior superior of the acetabulum. 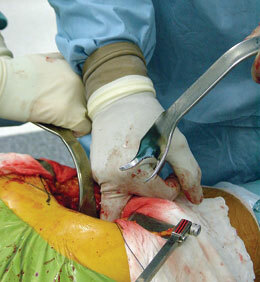 Tapped into the illum to help retract the femur for acetabular exposure. 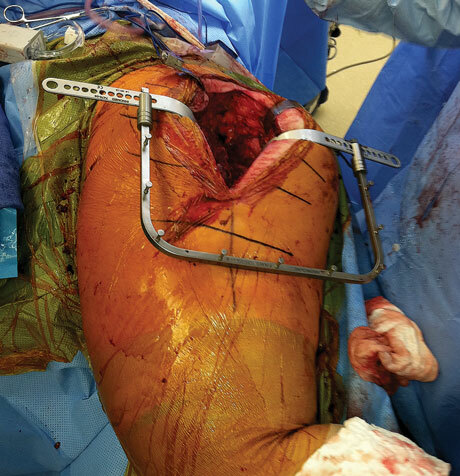 Depth from Flat Part of Handle: 5.5"
Sits on the outer rim of the posterior inferior ishium to retract the posterior capsule for acetabular exposure and help to protect the sciatic nerve. 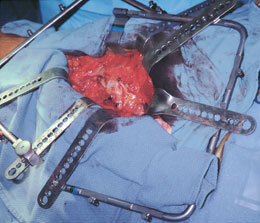 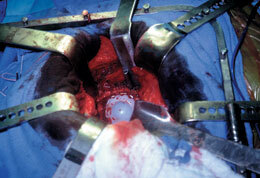 Placed under the proximal femur to help expose the femoral head. 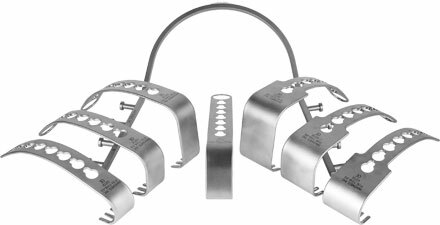 The wide version is useful with large patients, while the narrow is useful when broaching or when the implant is in place. 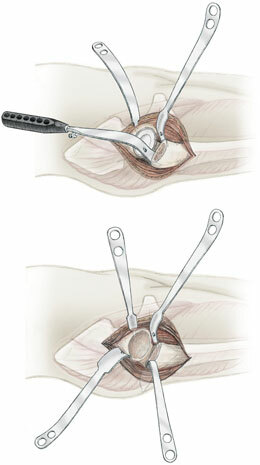 The Self-Retaining Hip Surgery Retractor System is used for hip arthroplasty and hip fracture surgery. 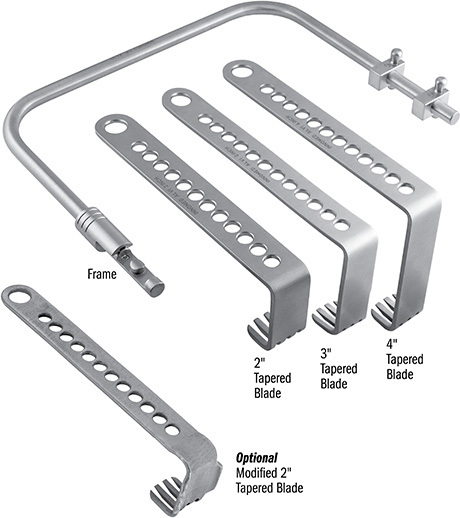 The frame is available in two configurations, square and standard, both of which have multi-retractor holding posts and a fixed retractor end which utilizes standard blades. 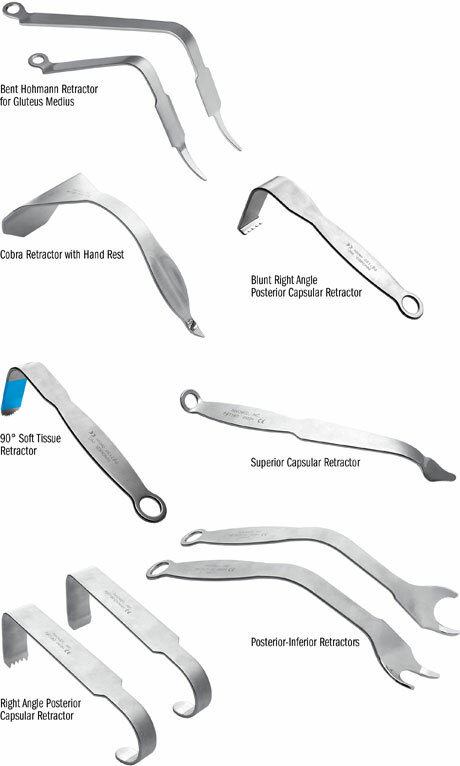 The blades can be used with other self-retaining type frames. 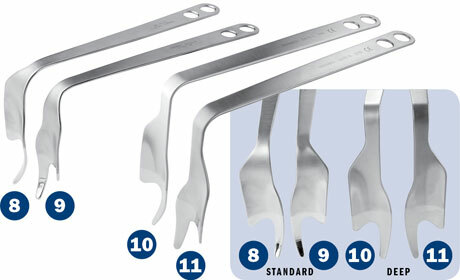 The Bunta Extra Large Blades (three sizes) are designed to retract soft tissue in large patients. 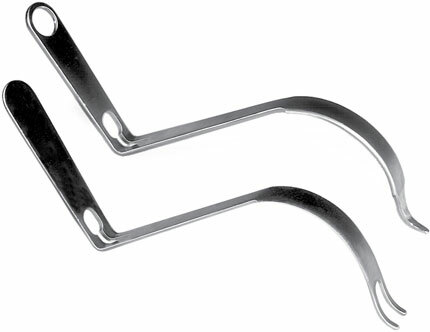 The deep blade curve helps them stay attached to the frame. 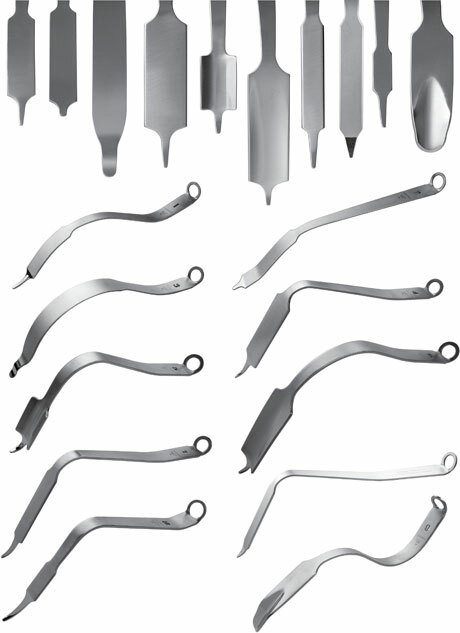 The malleable blades are designed with a malleable attachment portion that can be contoured, allowing better attachment to the frame. 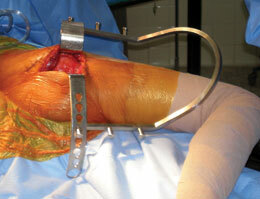 This is helpful when patient anatomy hinders blade attachment. 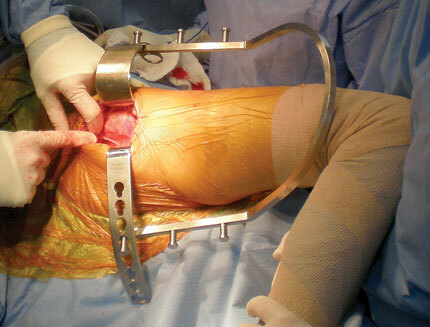 The optional wedges help stabilize blades, particularly with larger patients. 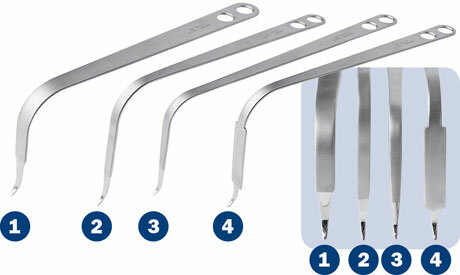 The Standard Blades with T-bar Handles help prevent the hand from slipping. 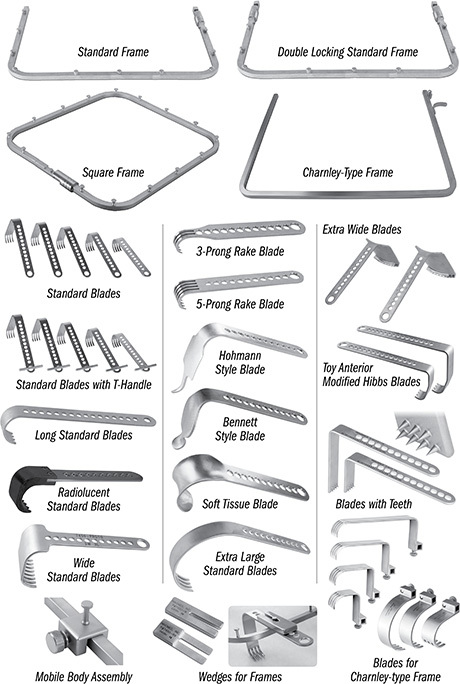 7450-01A [Standard Frame] 12.75" x 9.5"
7450-01B [Medium Frame] 9.75" x 9.5"
7430 [Standard Frame] 12.75" x 9.5"
7445-01 [Standard without Blades] 12' x 9.5"
7445-01B-01 [Narrow without Blades] 10" x 9.5"
7445 [Standard] 12" x 9.5"
7445-01B [Narrow] 10" x 9.5"
Designed to separate/protect the medial (rectus femoris) and lateral (tensor fascia lata) soft tissues without an assistant holding an additional instrument when used in conjunction with a self-retaining frame system. 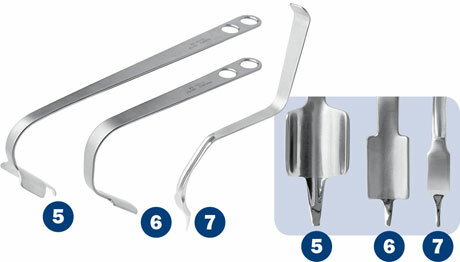 The modifications of the blade help maintain its position while helping to minimizing risk to neurovascular structures. 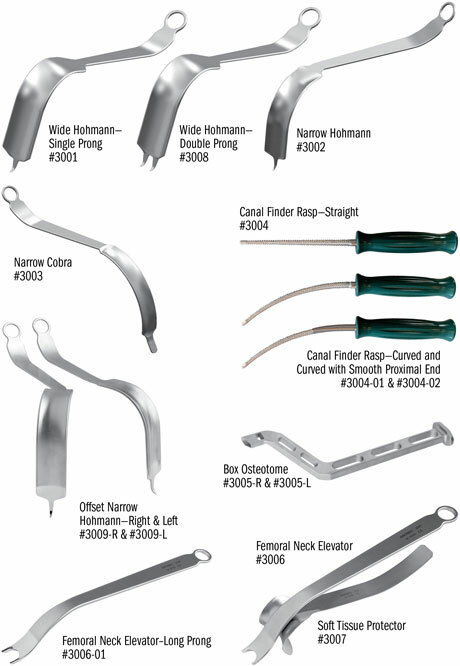 Overall Length: 12" • Handle Length: 9"
Overall Length: 15" • Handle Length: 11"
3004-02 [Unger Canal Finder Rasp – Curved with 2.5" Smooth Proximal] NEW!